The Grinch is Here and this Grilled Roast Beast Sandwich is a MUST! 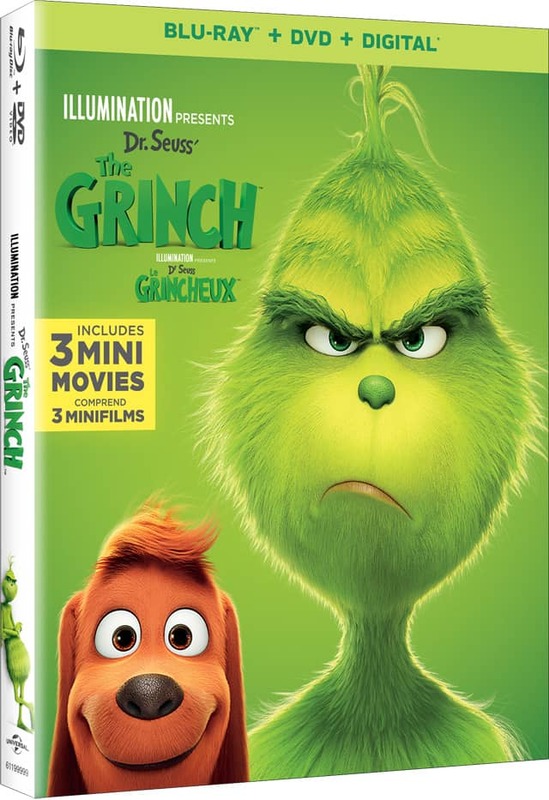 Dr. Seuss’ The Grinch hits Blu-Ray and DVD tomorrow (2/5/2019) and I have an exclusive look as well as the best grilled “roast beast” sandwiches to pair with your watch party! Disclosure: I was provided The Grinch to review. All opinions are my own. In just under 24 hours, Dr. Seuss’ The Grinch will be available in stores nationwide! Telling a beloved holiday story that we have all grown up with a slight new spin on The Grinch’s background, we come to understand and love our green grump as we watch his heart grow 3 sizes! With new music, an incredible 60 minutes of bonus features and 3 new mini movies, you are going to want to get your hands on this holiday classic! Our copy arrived last week and I made the kids wait until this weekend to watch it and all the bonus features. 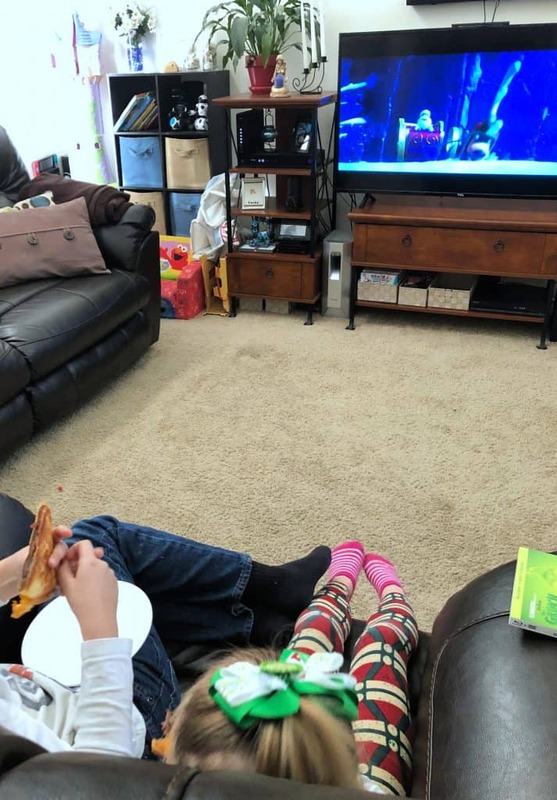 Our entire Saturday was full of everything Grinch and definitely was a nice way to spend a lazy family day. Make sure to grab your copy of The Grinch in stores tomorrow! I am always game for some fun themed food when we watch movies. 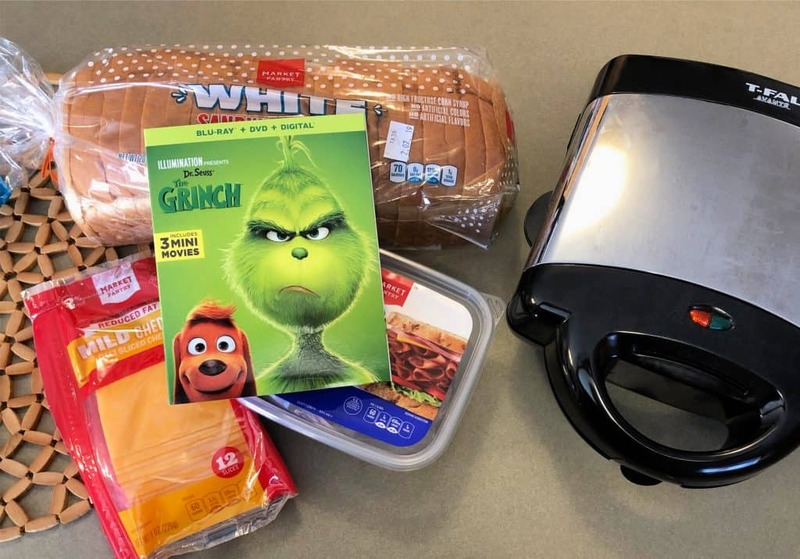 We watched The Grinch during the afternoon, so I decided to whip up some super quick grilled roast beast sandwiches! With just 3 simple ingredients, this fast meal will be something that your family will be asking for! 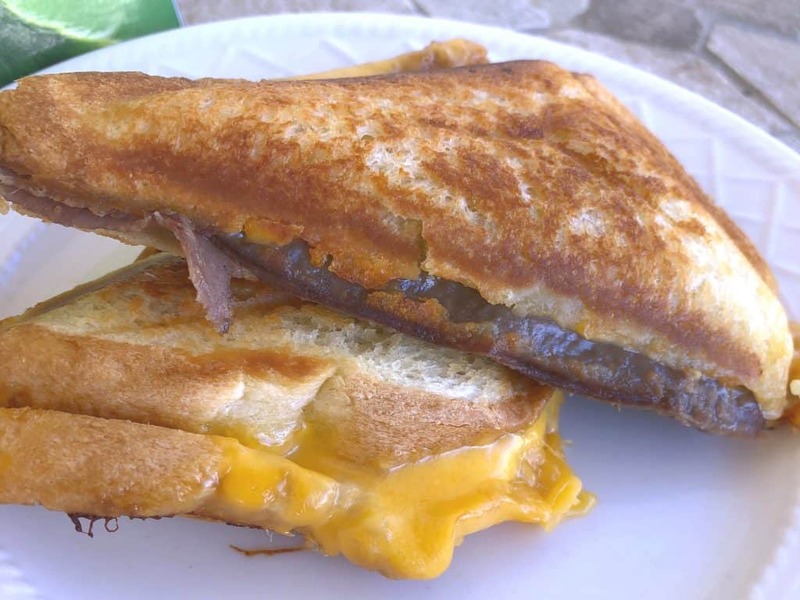 Bread, roast beef and cheddar slices make the perfect ooey gooey grilled roast beast sandwich. 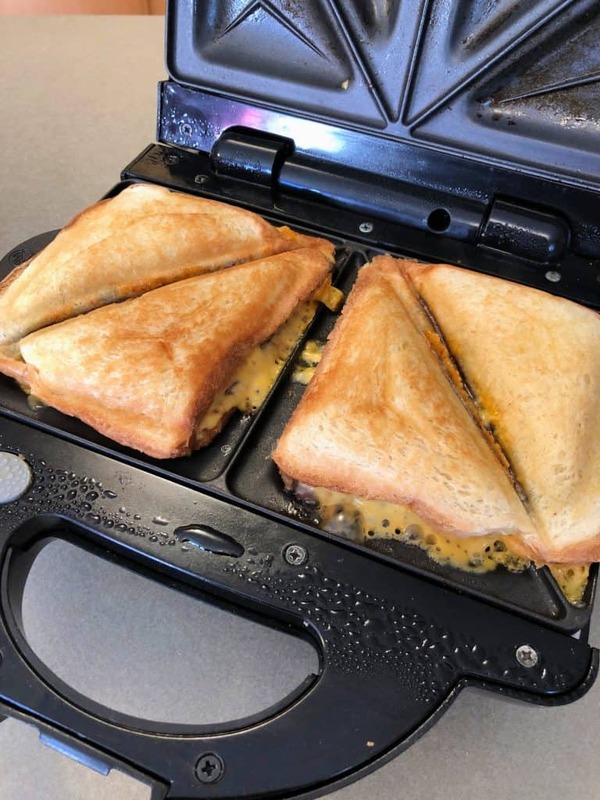 It is super simple to make and you can use either your skillet at home or if you have a grilled sandwich maker, that works well as well. I actually forgot we got this awesome sandwich maker for our wedding and found it last week, which is what actually inspired the roast beast sandwiches! 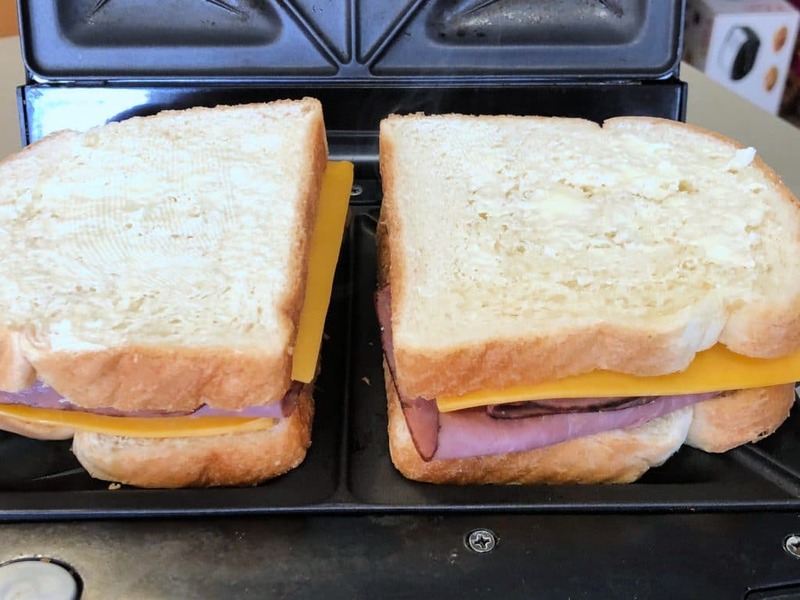 To make your grilled roast beast sandwiches, place 1 layer of bread down on your cooking surface, then layer a slice of cheddar cheese, 3 slices of roast beef and another slice of cheddar cheese. Finally top it with the other layer of bread. I do like to butter each side of the bread, but you do not have to. Grill to your preferred toastiness. My kids like their sandwiches to be a little less crunchy, but my husband and I like them almost burnt. To each their own, just grill up those roast beast sandwiches. Once done, serve them up! 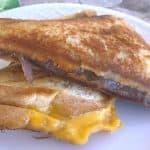 These sandwiches are amazing and after I made the first 4, I had to make another 2 because my family loved them so much. I honestly was not sure how this combination would work out. You can grab the recipe below, but be sure to double it because I can guarantee your family is going to want more! Make sure to print this recipe and take it with you to the store when you pick up The Grinch on Blu-Ray and DVD! Your family will thank you! 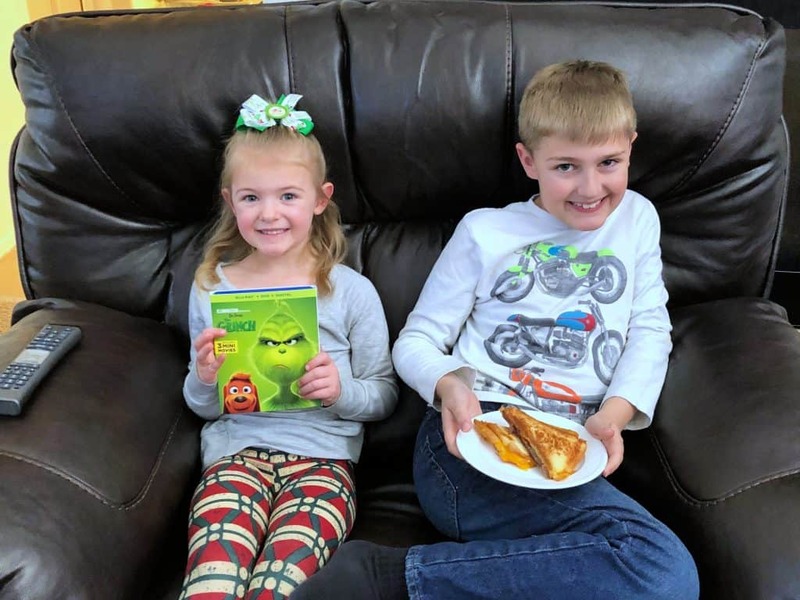 A play on the typical grilled cheese sandwich to celebrate the release of Dr. Seuss' The Grinch. This grilled roast beast sandwich is sure to impress even the smallest of diners! 2. Place one slice of bread, butter side down, on the cooking surface. 3. Layer 1 slice of cheese on the bread, 3 slices of roast beef atop the cheese and then another layer of cheese atop the roast beef. 4. Layer the 2nd slice of bread, butter side up. Grill both sides of the sandwich. This family of mine watches holiday movies year round. So ringing in the New Year with a holiday classic was pretty easy for us. I actually did not take the kids to see The Grinch in the theaters over the holidays and was so bummed. Between car issues, work and those busy days we just didn’t have a moment to swing it. I was super excited to have the movie in hand and a moment for our family to sit down and enjoy it. We all liked Illuminations take on The Grinch. I think I preferred the new animation and the familiarity of it. I felt like they really brought the story together, with more authenticity to Dr. Seuss’ original story. The kids and I definitely loved the bonus features (the music is great) and the mini movies. I also loved learning how to draw The Grinch characters through the bonus features and I am pretty sure that the reindeer is my favorite new character. Overall, it is a great movie, you are going to want to see all the bonus features and mini-movies and of course make this spectacular grilled roast beast sandwich. Have you seen Dr. Seuss’ The Grinch yet?